Who Said Your Kitchen Had To Be An Art-Free Zone? Anyone who’s made a masterpiece in the kitchen would say that, sometimes, cooking can be art. Done right, a plate can quickly become a canvas. Even so, the kitchen is a pretty art-free zone most of the time (unless you live in my house that is!). For lots of people, this is a matter of practicality. Some of us just don’t have the space for prints on our kitchen walls. Even if we did, they’d get splattered by food drops in no time. And, who wants to spend a fortune on a print which is sure to meet such a messy end? That said, if, like me, you love incorporating art into your home, this lack in the kitchen could soon get you down. At the very least, it could see this room sticking out against the rest of your decor. Plus, who doesn’t want something nice to look at when they cook? Lucky for you, even if wall prints are a no-go, nothing is stopping you bringing some art to the space in the following ways. Putting kiddie art on the fridge has been a kitchen staple for decades. 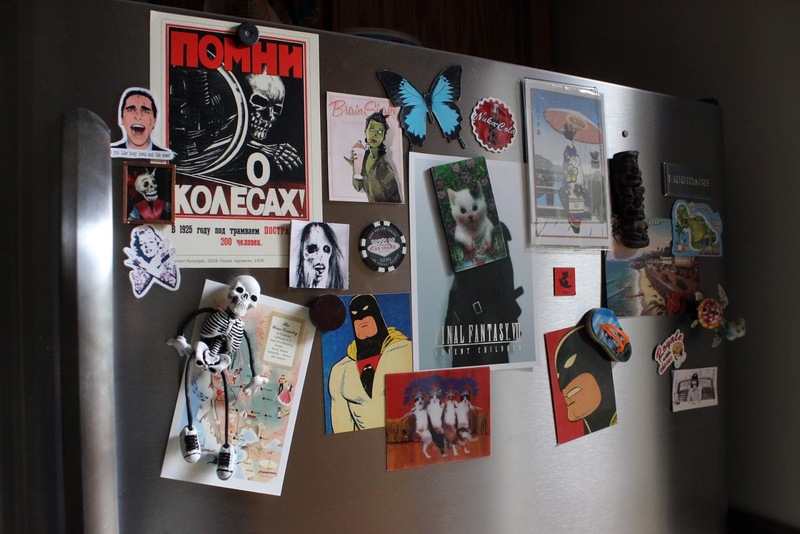 But, have you ever considered taking this fridge-art theme a little further? There are plenty of postcard-sized prints available in any art store. You may even find that keeping an eye on things like postcards could see you securing some gems for less. Then, all you’d need is some simple magnets to secure your prints to your fridge door. Get the layout right here, and this could soon become a key design feature in your kitchen. Even better, you could switch those prints around to suit your tastes without too much hassle. It’s also worth noting that artistic kitchen tiles are all the rage. Bold prints are now making appearances in near enough every sheek restaurant. Whether you invest in kitchen wall tiles or options for your floor, floral or patterned designs can work amazingly here. By purposefully mismatching patterns, you could have a lot of fun here. And, as simple as that, you could bring a touch of the artistic right into the heart of the heart of your home. Whether you’re struggling for wall space or are worried about getting messy, hanging prints from your cupboards could be the ideal compromise. This takes up no wall space, so it's perfect for the cramped kitchen. By only hanging on cabinets up top, you also ensure that those prints are out of reach of any stray food. Not to mention that this is a simple way to add interest to an otherwise dull kitchen staple. Have fun with this by choosing bright ribbons for the hanging. You could even colour coordinate these with the rest of your kitchen. Incorporating art into your home isn’t always easy, but there are ways around any problem. By taking the effort to find them, you could enrich every room in your house no end, kitchen included.